Very Unique concept restaurant Making money 1.5 Years established!!! Owner will stay on for 90 days to ensure success. NDNA needed contact listing agent. 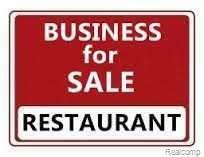 Sale price includes all equipment for a full service restaurant bought brand new 1.5 years ago. Price DOES NOT INCLUDE INVENTORY. Land contract terms could be a possibility.